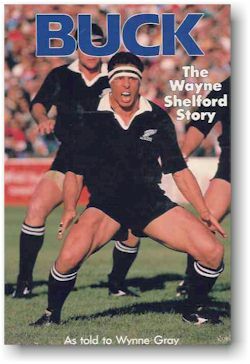 If ever there was one moment when New Zealand’s Wayne “Buck” Shelford embedded his name forever into rugby's rich history, it was during the infamous “Battle of Nantes” in 1986. Playing only his second Test for the All Blacks against a physically intimidating French side, Shelford found himself at the bottom of a rather aggressive ruck on 20 minutes. An errant Les Bleus stud found its way to his groin, where it somehow managed to tear his scrotum, leaving one testicle hanging out. This alone would leave most men screaming in agony and heading for the nearest hospital. But not Shelford. He calmly instructed the physio to stitch him up.